…but a quilt top nonetheless. This will be a quick post today, as this top isn’t one I’m particularly fond of, but I think it’s also good to show the ones that don’t go as planned as well. I can’t even remember what my original plan was for these fabrics. I imagine I selected the pretty Liberty of London prints for yet another patchwork quilt (I do love myself a Liberty patchwork quilt! ), but then felt maybe I should branch out and try something else. I opted for half square triangles, but after making and trimming all those hsts, there was something I didn’t like about it – maybe the solid gray I chose? I don’t know, but like this previous post, it was really bugging me that I never sewed the blocks into a top. So here it is, and once again, not a favorite, but at least I feel a bit better that the blocks actually have been sewn into a quilt top. This entry was posted in Fabric, Posts about Quilts and tagged half square triangles, handmade, liberty of london, quilt top. Bookmark the permalink. I think more of those big solid secondary shapes would look pretty. They make the prints more visible – at least on the computer screen. I’ve made a few ‘what was I thinking’ quilts too. The surprising thing is that someone always tells me how much they like the ones I don’t. You might feel differently about this one once it is quilted. I actually like it quite a bit. Perhaps because I don’t love flowery prints — the gray solid and angular pattern tone the floral down for me, but still leave it soft and pretty. I also like the addition of the larger triangles. I bet it will look even better once it is quilted. Thanks for sharing Ashley. The top is great, I know it’s not what you wanted. Maybe the quilting will change that? 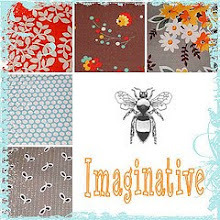 As a longarm quilter who has quilted 100’s of quilts I am gonna say that this could all change with the right quilting. You could go for different colors of threads that will really show and use geometric designs in the quilting, mix up your thread colors to add some pop to that grey and then evaluate it again……….you might be surprised. Really the cookies dough is sometimes good but really they are always better after they are baked……the same with quilt tops. Looking at your top one more time here is how I would quilt it. There are large squares on point with those solids………make the rest of the quilt like that with the quilting by continuing those lines in that grey areas. Then there are some options of quilting in those large triangle areas……….they would look awesome if you did an echo going into the center of the triangle. Then some fill in the grey of the the little triangles and don’t quilt too much in the little print triangles, maybe some continuous curves…….hum? The thing I like least about this are the 3 squares of HSTs not in the same direction as the rest. The thing I like most are the HST squares. To me the rest is okay, but remember it is your muse you are feeding not mine. The fabrics are all beautiful, the design is nice, but in agreement with you it isn’t one of my favorites of your quilts. All that said it is probably better than any and all of my quilts. I would try to emphasize the triangles around the HST squares and de-emphasize the sea of gray. 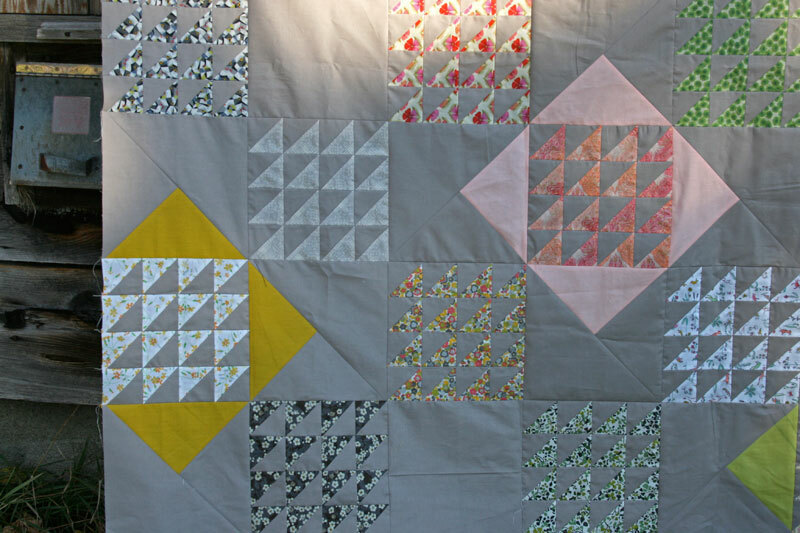 Maybe use a bright color to quilt the solid gray squares so that they highlight the colors of the HSTs. I have a few that aren’t my favorites but someone will love it, so it goes to charity. Someone that has nothing will treasure it! Feel good that you finished it and cleared the way for more that you love?. I love it! I appreciate the contrast between the tradition HST block and the modern solids, as that is the blend I gravitate toward the most. Beautiful! I’ve had this happen a few times, too. I think the HSTs are just too small to stand up to all that gray. Not enough Liberty. My first thought was wow, I really like that! I think having the liberty so small works for me because I sometimes the floral/small scale can be too much for me. I really like the large triangles around your squares of HSTs. Hopefully, as others have mentioned, quilting will help you like it again! 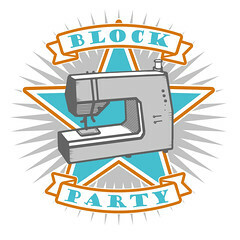 Looks nice to me…love the larger pops of solid colors with the smaller HST blocks. I agree with the other comments that the quilting and thread choice could really take it over the top! Please let us see it again once it’s quilted! I think this top is so soft and pretty! i see lots of negative space for some spectacular quilting! it will be gorgeous! Yep. That medium gray will kill a quilt every time. And in spite of the votes for extensive long-arming, no amount of quilting can change that. Love your quilty creations–I’ve made a couple! 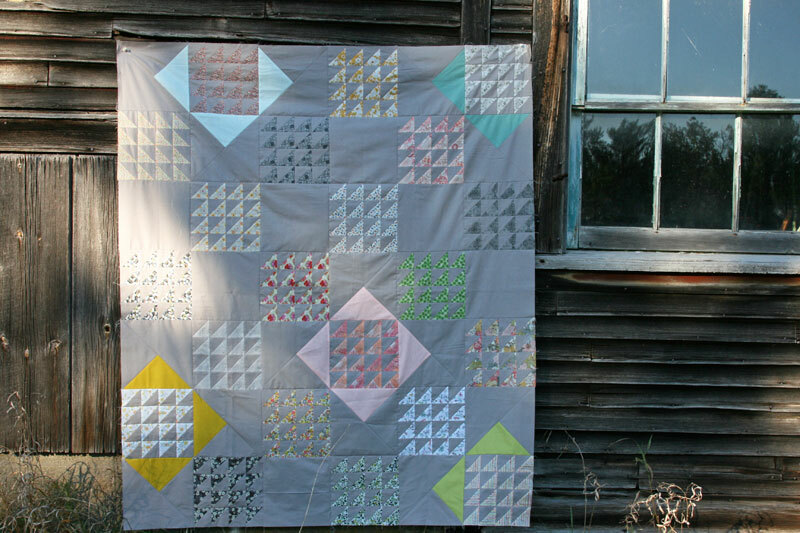 I agree with others about the gray, and love the echo quilting idea above — i think doing that with the pink color would help to subtly break up the gray, giving it something of a ‘shot cotton’ feel. Interestingly, for me this helped crystallize one of the things I like about your aesthetic. It uses contrasting scales to break up pattern, rather than turning (first) to disruptive colors or prints. I think using scale that way (and sometimes I think you do it with a large shape that appears in the quilt top multiple times in smaller form, sometimes with a more unexpected shape) creates interest and pattern in a way that can be hard to quickly identify, leading the viewer to puzzle over what that unexpected element is. Obviously a very personal reading of it, so it may be just me, but I really like seeing this and getting that insight into one of the elements of your very special piecing style.